Today I’m going to share with you one of the most helpful websites I’ve found since going gluten-free: Gluten Free Drugs. If you or a family member has celiac disease or gluten intolerance, you definitely want to make sure any prescription or over-the-counter medicines you use are gluten-free. However, if you’ve ever tried to read the folded up prescription paper insert with it’s itty bitty font, and translate all of the medical jargon, you know that it is not easy to figure out the ingredients in medicines. 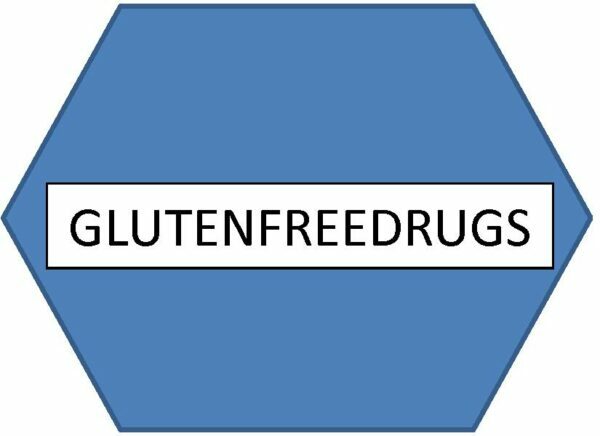 Steven at Gluten Free Drugs provides this incredibly helpful resource in helping you determine if your medicine is free of gluten ingredients. This website is authored and maintained by a clinical pharmacist as a public service, receiving no compensation whatsoever for providing this information. Information for this website is obtained from a number of sources, including personal contact with the manufacturers and input from other individuals who contact manufacturers. The information is continually updated as it is obtained. This site is for informational purposes only. Please note that a reasonable attempt is made to provide accurate information. The webmaster is not responsible for any error contained within. All persons should interpret the information with caution and should seek medical advice when necessary. The pharmacists at my local pharmacy now refer to this website as part of determining if a new medicine I’ve been prescribed is safe for me. Also, when I’ve started a new medicine or over-the-counter medicine that happens to be missing from the website, when I’ve emailed Steven, he’s responded by email with the information I need. The home page gives a lot of great info, and then there are several lists you can look at to locate a specific medicine. I usually go directly to his alphabetical list of medicines. Definitely go check out the site and bookmark it, pin it, save it and share it with anyone that might benefit.